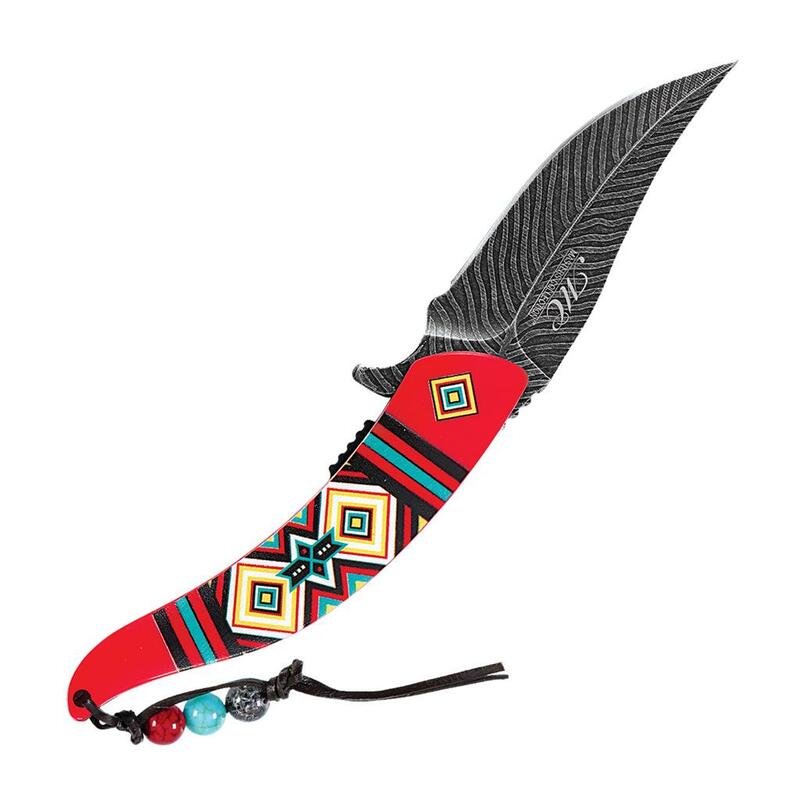 This decorative pocket knife features an elegant 3.5" long, 4mm-thick stainless steel blade with a feathered shape. A beaded nylon-fiber lanyard and built-on pocket clip make it easy to carry. Spring-assisted open.